The University of Washington will continue to help develop early learning programs through a $10 million grant from the Bill & Melinda Gates Foundation. Principal Investigator Gail Joseph, associate professor of early childhood and family studies and director of Cultivate Learning (formerly the Childcare Quality & Early Learning Center for Research and Professional Development), said the work will help more children enter kindergarten ready to learn and prepared to thrive in elementary school and beyond. 1) An assessment and protocol to measure progress in three target states (Washington, Oregon and Tennessee) toward implementation of the essential elements that—when present in high-quality, publicly funded and scaled pre-k programs—foster lasting benefits for children. 2) User-centered, state-based learning plans and data support for continuous quality improvement in the three target states. 3) Comprehensive, extended case studies of each targeted state to indicate the key conditions that facilitate or impede progress over time on the 15 essential elements. 4) A responsive, cross-state case study to monitor early learning strategy progress and to inform and refine the strategy over time. 5) Resources for program implementation technical assistance and training. UW researchers will collaborate with anchor partners Ounce of Prevention Fund and the Alliance for Early Success, state policy makers, and local evaluation partners in Washington, Oregon and Tennessee throughout the project, with state implementation teams responsible for co-designing data-driven decision making at the state and local level to build program infrastructure and support continuous quality improvement. The essential elements of successful early learning programs are grouped into three categories: strong enabling environments, supportive program policies and robust program practices. 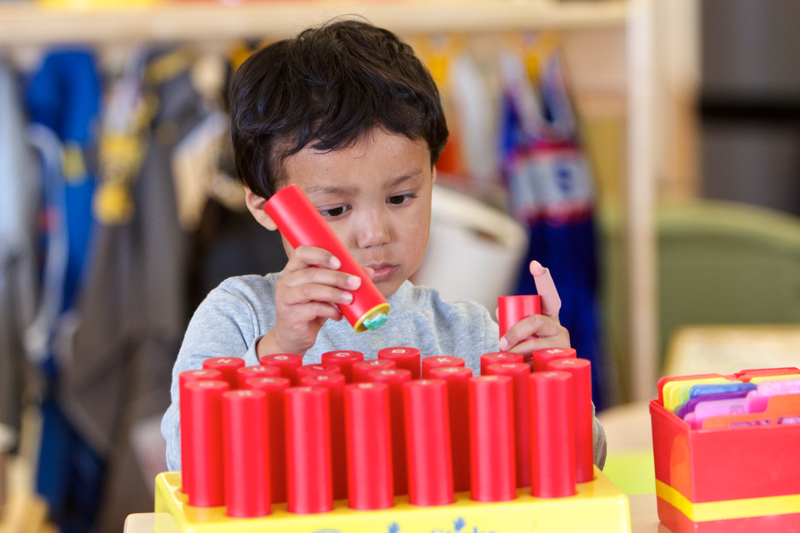 UW researchers will explore how the presence and reliable implementation of these elements contribute to high-quality teaching practices in the classroom that lead to improved kindergarten readiness and durable outcomes. 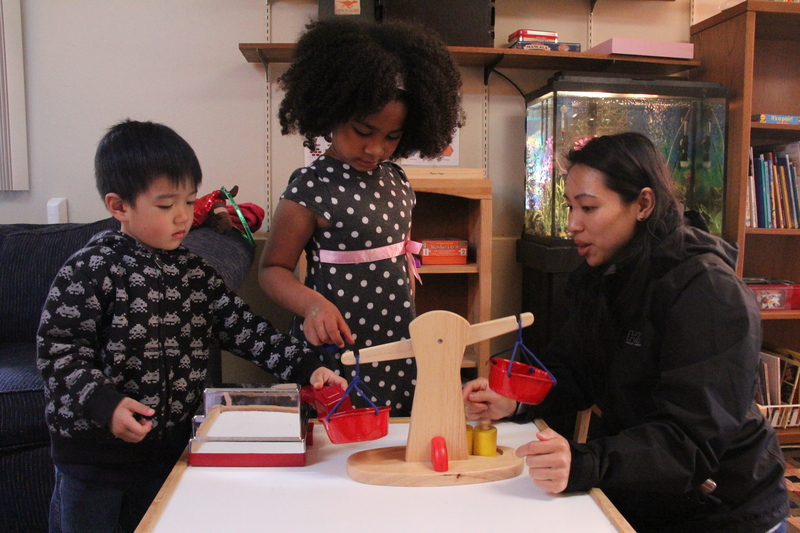 Children work with a teacher at an early learning facility that partners with Cultivate Learning (formerly the UW Childcare Quality & Early Learning Center for Research and Professional Development). Co-Principal Investigator Soojin Oh Park, an assistant professor of learning sciences and human development who will lead the case study data collection process, said the project will build much-needed understanding of the conditions and processes that sustain and strengthen pre-K systems, particularly for children in non-dominant communities. The new grant builds on a $6.5 million grant received from the Gates Foundation in November 2016 to expand the UW College of Education’s EarlyEdU Alliance. Launched in 2015, EarlyEdU was created to strengthen the nation’s early education workforce by extending high-quality coursework for early learning teachers and leaders. Also this year, the UW received a renewed $7.2 million contract from the Washington State Department of Early Learning to support Cultivate Learning’s continued work implementing the quality rating and improvement system—Early Achievers—it developed to assess and support Washington’s early learning and care providers. Molly Branson-Thayer, co-principal investigator and director of research to practice at Cultivate Learning, will serve as project director. Other participating College of Education faculty and staff are: Thomas Halverson, senior lecturer and director of the UW Master’s in Education Policy program; Nancy Hertzog, professor of educational psychology and director of the Robinson Center for Young Scholars; Kristie Kauerz, research assistant professor of P-3 policy and leadership and director of the UW’s National P-3 Center; Janet Soderberg, director of research and evaluation at Cultivate Learning; Susan Sandall, professor of early childhood special education; and Randi Shapiro, executive director of the EarlyEdU Alliance. For more information, contact Joseph at 206-685-7469 or gjoseph@uw.edu, Branson-Thayer at mbthayer@uw.edu or Dustin Wunderlich at 206-543-1035 or dwunder@uw.edu.